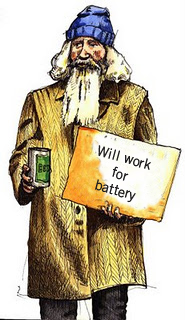 Will NFC lead to the cashless society? Ever since I read a BBC news article over nine years ago, about the cashless society and how we would all soon be shopping for everything with our mobile phones, I have been looking forward to throwing away my bulky wallet and only carrying my mobile phone on all my travels. And although the company featured in the BBC article withdrew their system just one year later, the promise of contactless mobile payments continued to grow and develop using Near Field Communications (NFC) technology. NFC has long promised to deliver fast, convenient payment from mobile phones, but why has it taken so long? Partly because it is a question of chickens and eggs – without popular mass market phones containing the required NFC chips there has been little interest for companies to invest in having the payment equipment installed in store. But equally, without anywhere to pay using NFC there is little motivation for device manufacturers to include additional hardware costs into their handsets. But finally it looks as if NFC is starting to get rolled out with the backing of some major handset manufacturers. 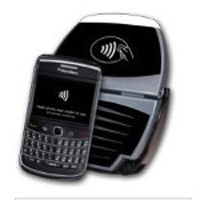 Earlier this year we saw Research in Motion (RIM) launch new BlackBerry handsets containing NFC. Google launched NFC support for Android with the Google Nexus S handset along with their mobile wallet to facilitate top-ups and payments. Unfortunately Apple still failed to include NFC technology into their new iPhone 4S. While this is seen as a significant blow to general NFC adoption I doubt it will prevent Google from investing heavily to own the space. So with significant new investment from companies like Google and RIM, is NFC finally going to arrive and give us the cashless society? Can I finally plan to throw away my wallet? In one word – No. Simply put the current trends in phone design and the manufacturer’s constant quest for increasingly anorexic handsets will ultimately prevent successful adoption of NFC. A week does not go by without one of the phone manufacturers announcing a new device that is the world’s thinnest. Last year Apple claimed that their IPhone 4 was “contained in a beautiful enclosure a mere 9.3mm thin, making iPhone 4 the world’s thinnest smartphone”, making every other manufacturer put their phones onto a crash diet. 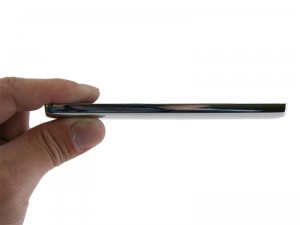 LG announced that their Optimus Black was the worlds thinnest measuring from 9.2mm down to a mere 6.0mm thin. NEC announced the Medias N-04C at a slim 7.7mm, 17% thinner than an iPhone 4. Even RIM is pushing their Bold 9900 and 9930 as the thinnest smartphones they have ever made, although at 10.5mm it’s positively plump by Apple standards. Even the Advertising Standards Authority (ASA) in the UK has been getting involved supporting Apple against Samsung’s claims that their Galaxy S II was thinner. Of course the easiest way to thin down a phone is to take out battery capacity; it’s the bulkiest part of the design, especially when you also need to squeeze in NFC chips. 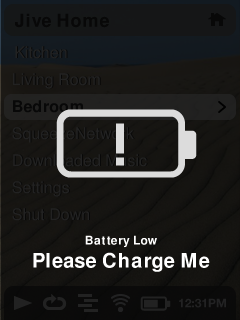 This is one of my top complaints with current smartphone design, I can’t remember when my phone lasted the whole day without being topped up with extra power. On an average day, leaving home around 7am to visit people in London my HTC Sensation (or my Desire before) typically croaks just after 4pm, or at best just before I get the train home around 6pm. If I’m in the city meeting friends in the evening I have to hope they don’t try calling my mobile to change the plans at the last moment. I have even taken to using airline mode on the underground to conserve power. It’s this desire for thin phones and the resulting lack of battery capacity that will be another major hurdle to NFC adoption, stopping it replacing physical wallets for payment anytime soon – phones are simply not reliable enough to become the primary payment mechanism. The beauty of cash or cards, even cards that use contactless NFC technology, is that they don’t run out of juice, they always work. In comparison, if we take my average day visiting London, if I depended on NFC I would be broke by late afternoon. And if I had failed to charge my phone overnight (which happens way too often), my journey may never happen, having failed to even buy a ticket. As for my evening with friends, that would consist of a bunch of penniless, hungry people wandering the streets unable to call or pay for a taxi or use maps to find the way to the station. Perhaps that’s what they really meant by the cashless society? This entry was posted in mobile payment, smartphones and tagged mobile payments, NFC. Bookmark the permalink.